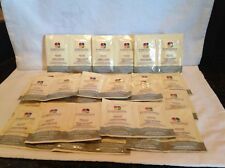 Pureology Perfect 4 Platinum Shampoo and Conditioner 8.5 oz FREE SHIPPING. Condition is New. Shipped with USPS Priority Mail Small Flat Rate Box. Pureology Perfect 4 Platinum Shampoo makes it easier to take care of delicate hair that has been dyed to a light blond color, along with other dyed and processed hair. Every ingredient in the shampoo is vegan. 5 out of 5 stars - Pureology Perfect 4 Platinum Shampoo 8.5 oz. 45 product ratings45 product ratings - Pureology Perfect 4 Platinum Shampoo 8.5 oz. What is this product?. Pureology Perfect 4 Platinum Shampoo contains a zero-sulfate formula that softens, enhances brightness and adds shine while gently cleansing and strengthening fragile blonde hair. Trending at $27.40eBay determines this price through a machine learned model of the product's sale prices within the last 90 days. New 6.8 FL OZ (200 ml) Pureology Perfect 4 Platinum reconstruct repair masque for colour treated hair with 4 or more levels of lift. 100% vegan ingredients. From concentrated Zero Sulfate Shampoos to our conditioners & stylers, each product is designed to maximize color retention. • Concentrated sulfate free and salt free formula gently cleanses hair without stripping colour or damaging the hair. ZeroSulfate strengthening formula cleanses and softens, while enhancing brightness, shine and colour retention on high-lift hair. Revive fragile, highlighted and highly-lifted blonde hair with a sulfate-free shampoo and conditioner for all blonde shades. The ultra-fortifying formulas clarify and strengthen while providing extraordinary color protection. 100% Vegan.Features Pureology's exclusive Antifade Complex to help maintain color.New. Product is best for delicate, highlighted or high-lifted (Blonde) hair.Formulated with Chamomile, Lemon Extract and Corriander Oil to help cleanse and soften. Pureology Perfect 4 Platinum Shampoo (8.5 Fl.oz). Condition is New. Shipped with USPS Priority Mail. 6 Perfect 4 Platinum Samples 0.17 fl oz. We specialize in hard to find and discontinued product lines. BEST DEALS HERE ALL YEAR LONG! 8.5oz / 250ml. Perfect 4 Platinum Shampoo. This will arrive fresh, unexpired with a year or more of a shelf life. I WILL BE HAPPY TO SOLVE ANY PROBLEM. 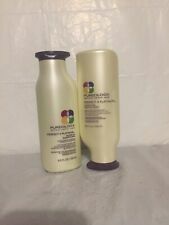 PUREOLOGY PERFECT 4 PLATINUM SHAMPOO & CONDITIONER DUO 8.5oz. BRAND NEW!!! YOU WILL RECEIVE ONE SHAMPOO 8.5oz. ONE CONDITIONER 8.5oz. For color treated hair ~. Hair lightening can weaken strands. The strengthening formula of Pureology Platinum blonde conditioner counteracts this by fortifying fragile hair and maximizing color retention. Perfect 4 Platinum Condition. 32 Shampoo and 32 Conditioner Sets. Pureology Perfect4platinum Shampoo Antifade Complex 2.0 oz - TRAVEL SIZE - RARE. Condition is New. Shipped with USPS First Class Package. Chamomile, lemon and coriander extracts soften, clarify to increase brightness, and nourish to magnify shine, while exclusive AntiFade Complex protects color vibrancy. Perfect 4 Platinum. Keep cool blondes radiant between color services with color depositing conditioner. Pureology Perfect 4 Platinum Shampoo 1.7 oz for Color Treated Hair Travel sz Hair lightening can weaken strands. The strengthening formula of Pureology Platinum blonde shampoo counteracts this by fortifying fragile hair and maximizing color retention. Perfect 4 Platinum's breakthrough strengthening technology with protein-rich keravis-nature's most powerful anti-breakage hair fortifier-provides internal and external strengthening. Chamomile, lemon and coriander extracts soften, clarify to increase brightness, and nourish to magnify shine, while exclusive AntiFade Complex® protects color vibrancy. An even further luxurious experience consumes the senses with the signature aromatherapy blend of pear, peony and vanilla. ZeroSulfate strengthening formula cleanses and softens, while enhancing brightness, shine and colour retention on high-lift hair. • Concentrated sulfate free and salt free formula gently cleanses hair without stripping colour or damaging the hair. Pureology Perfect 4 Platinum Conditioner 8.5 oz. Those with golden locks know that blondes have more fun. Dazzle your loved ones and protect your scalp with this product. This vegan formulation does what Pureology does best: strengthening your hair and creating vibrant color. 5 out of 5 stars - Pureology Perfect 4 Platinum Conditioner 8.5 oz. 3 product ratings3 product ratings - Pureology Perfect 4 Platinum Conditioner 8.5 oz. Chamomile and lemon extract, this Zero Sulfate shampoo cleanses and softens. Perfect 4 Platinum for highlighted and fragile blonde hair. Condition with chamomile to soften hairs texture. Nourish with coriander extract to magnify shine. The sale if this item may be subject to regulation by the U.S. Food and Drug Administration and state and local regulatory agencies. Pureology Perfect 4 Platinum Shampoo (8.5 Fl.oz) BRAND NEW!!! FREE SHIPPING!!! 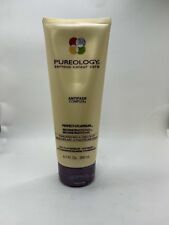 PUREOLOGY PERFECT 4 PLATINUM SHAMPOO 8.5oz. 5 out of 5 stars - Pureology Perfect 4 Platinum Shampoo (8.5 Fl.oz) BRAND NEW!!! FREE SHIPPING!!! 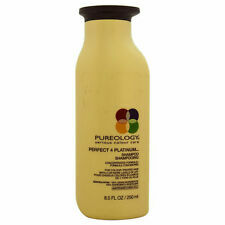 45 product ratings45 product ratings - Pureology Perfect 4 Platinum Shampoo (8.5 Fl.oz) BRAND NEW!!! FREE SHIPPING!!! Pureology Perfect 4 Platinum Conditioner 8.5 oz. Condition is New. Shipped with USPS Priority Mail. A sulfate-free, 100% vegan shampoo for color-treated hair. Contains exclusive AntiFadeComplex for maximum color retention. Pureology Perfect 4 Platinum Shampoo Pureology Perfect 4 Platinum Shampoo features a ZeroSulfate strengthening formula that cleanses and softens while enhancing brightness, shine and colour retention on high-lift hair. Cleanse strands without fading blonde color with the Pureology sulfate-free shampoo for blonde, color-treated hair. Perfect 4 Platinum Shampoo. Preserve and protect your blonde, color-treated hair with this sulfate-free shampoo designed for all shades of blonde and features a signature aromatherapy blend of pear, peony and vanilla. Pureology Perfect 4 Platinum Shampoo 8.5oz - NEW & FRESH - Same Day Shipping! 5 out of 5 stars - Pureology Perfect 4 Platinum Shampoo 8.5oz - NEW & FRESH - Same Day Shipping! 45 product ratings45 product ratings - Pureology Perfect 4 Platinum Shampoo 8.5oz - NEW & FRESH - Same Day Shipping! Pureology Perfect 4 Platinum Shampoo 33.8oz LITER - DISCONTINUED LAST BOTTLE!! Pureology Perfect 4 Platinum Shampoo 33.8oz LITER. 1- Pureology Perfect 4 Platinum Shampoo 33.8oz LITER. 5 out of 5 stars - Pureology Perfect 4 Platinum Shampoo 33.8oz LITER - DISCONTINUED LAST BOTTLE!! 5 product ratings5 product ratings - Pureology Perfect 4 Platinum Shampoo 33.8oz LITER - DISCONTINUED LAST BOTTLE!! Perfect 4 Platinum Cool Blonde Enhancing Treatment nourishes and helps maintain the radiance of cool blond and highlighted color treated hair. This color depositing conditioner includes a purple Hue that preserves the tone and neutralizes brassiness.